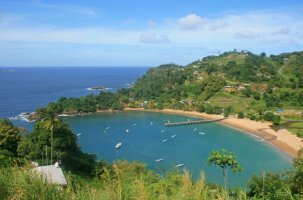 Trinidad and Tobago is one of the wealthiest and most developed nations in the Caribbean and is listed in the top 40 of the 70 High Income countries in the world. Trinidad's economy is strongly influenced by the petroleum industry. Tourism and manufacturing are also important to the local economy. Tourism is a growing sector, although not as proportionately important as in many other Caribbean islands. Agricultural products include citrus and cocoa. The economic growth of the country happened due to investments in liquefied natural gas (LNG), petrochemicals, and steel. Additional petrochemical, aluminium, and plastics projects are in various stages of planning. Trinidad and Tobago is the leading Caribbean producer of oil and gas, and its economy is heavily dependent upon these resources but it also supplies manufactured goods, notably food, beverages, and cement, to the Caribbean region. Oil and gas account for about 40% of GDP and 80% of exports, but only 5% of employment. The country is also a regional financial center, and the economy has a growing trade surplus. Trinidad and Tobago has transitioned from an oil-based economy to a natural gas based economy. Trinidad and Tobago exports mainly natural gas and oil (80 percent of total exports). Other exports of Trinidad and Tobago include ammonia, alcohols, fertilizers, and iron and steel. Trinidad and Tobago's main exports partners are the United States, Jamaica, Spain, Mexico, the Netherlands, the Dominican Republic, Barbados, France and the United Kingdom. Trinidad and Tobago is the wealthiest country in the Caribbean as well as the third richest country by GDP (PPP) per capita in the Americas after the United States and Canada. Furthermore, it is recognized as a high income economy by the World Bank. Unlike most of the English-speaking Caribbean, the country's economy is primarily industrial, with an emphasis on petroleum and petrochemicals. The country's wealth attributes to its large reserves and exploitation of oil and natural gas. The country has earned a reputation as an excellent investment site for international businesses and has one of the highest growth rates and per capita incomes in Latin America. Top imports of Trinidad and Tobago include oil, iron ore, fuel, vehicles, water heaters, ethyl alcohol, iron and steel, pumps and catalysts. Trinidad and Tobago's main imports partners are the United States, Brazil, Colombia, Russia, Germany, China, Japan, Nigeria and Venezuela. 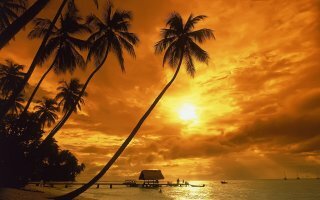 Trinidad and Tobago is a twin island country situated off the northern edge of South America mainland, lying 11 kilometres just off the coast of northeastern Venezuela and 130 kilometres south of Grenada. The country is bordered by the Caribbean and shares maritime borderes with Barbados, Grenada, Guyana and Venezuela to the south and west. Trinidad and Tobago is a member of the African, Caribbean, and Pacific Group of States (ACP), Caribbean Community and Common Market (Caricom), World Trade Organization (WTO) and other international organizations. Imports are subject to the CARICOM Common External Tariff (CET). A 15% VAT is imposed on the CIF value of dutiable goods. Upon landing of goods, supporting documents must be submitted to customs authorities and relevant duties paid before goods may be cleared from customs. Customs clearance can consume much time because of bureaucratic inefficiency and occasional inflexible interpretation of regulations. Shipping documents can be sent for clearance upon the date of departure of the goods thus saving days of processing time, especially for goods shipped by sea. Importation of certain items may require an import license issued by the Ministry of Trade and Industry. It is advisable to inquire whether a license is required prior to shipment of goods.